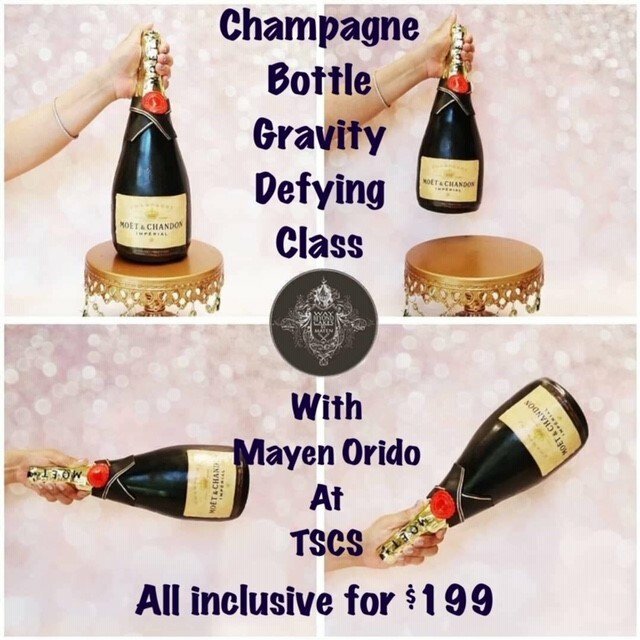 NEW DATE: SUNDAY MARCH 24 from 9:45 am to 4:30 pm Champagne Bottle -Gravity-Defying- Cake Class with Mayen Orido, Plus many more extras! If you are intrigued about creative ways to carve a gravity defying Cake well, this is a class for you!! This amazing and versatile class is design by Sugar Artist Mayen Orido, the founder and owner of Way Beyond Cakes LLC. Mayen is an international cake artist from Arizona. She was born in the Philippines and migrated to the USA in 2004. She has a degree in Biology from the University of the Philippines. She is one of the selected guest tutors for Cake Camp UK, The Cake and Craft Show Auckland, The San Diego Cake Show and Cake Fest LA. She has also filmed for Paul Bradford Sugarcraft School and Pretty Witty Cakes, and was also the International Guest artist for Cake International and The Cake and Craft Show in Auckland, New Zealand. Known for her work in collaborations such as Starry Night, Cakenweenie, Michael Jackson, Around the world in 40 cakes, Tier-riffic cakes, Christmas in Frostington, 12 Days of Christmas, Harry Potter Mischief Managed, Fantastic Beasts and Where to Find Them. 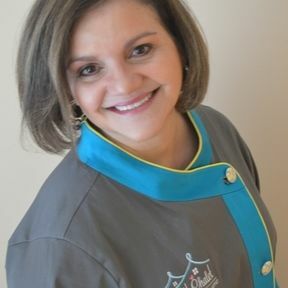 Her work has been published in magazines like Cake Masters, Cake Central, Cake Geek, and Sweet magazine. Her work resonates to many because they are eye catching, unique and easy to tweak into their very own designs. She hopes to be able to reach more places and get to meet more cake lovers all over the world like you. In this CLASS, Mayen will teach you the basics of a gravity defying designs, from plan to the execution. 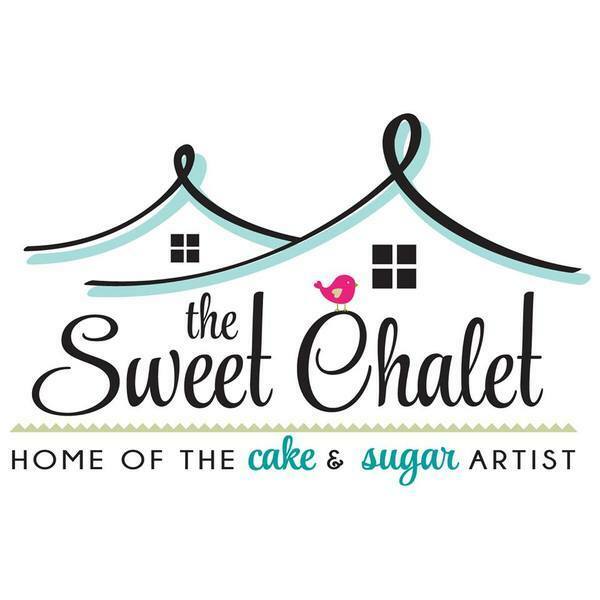 It is an intensive but fun 5 hour class full of all resources to make you a successful 3-D cakes artist. This is a REAL cake class! All materials are included and you will be able to take home an extra cake structure plus your finish cake, ready for a St Valentine's Celebration!! All for Only $199. Hurry! Spaces are limited and will quickly be sold out.